Arthritis means an inflammation of a joint, whether it is a result of a disease, a genetic defect, an infection or may be some other cause. This inflammation is responsible for stiffness, swelling and pain in the surrounding tissues and joints. There is a certain group of people who perceive that arthritis is any kind of discomfort or pain that is associated with our body movement and also includes some localized problems such as low back pain, tendonitis, joint pain, general stiffness, and bursitis. Now arthritis has become an inevitable part of the aging process. On immediate horizons, there are no real signs of cure. On the other side recent developments in alternative medicines and conventional medical treatment has made possible arthritis to be bearable. When someone suffers from arthritis, there is generally a lesser damage to the joints and greater damage occurs in the arms, hands and legs. Arthritis has now become a leading cause of disability in people over 65.However, it can occur in people of all ages and specially children. There are different forms of an arthritis but main features of all of them unfortunately is pain. 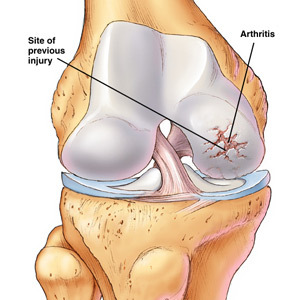 Arthritis generally involves the breakdown of a cartilage which protects the joint and allows a flexible joint movement. When there is a pressure on a particular joint this cartilage helps acts as a shock absorber. When the bone breakdown they lose any sort of protection, they rub against each other thus causing stiffness, pain and swelling. Due to exercise and overage, there is a general wear and tear of bones. Due to an autoimmune disease i.e. when a body attacks itself if an immune system perceives a certain body part to be foreign. The main symptom of rheumatoid arthritis is joint stiffness in the morning, often in the hands or feet. Stiffness that persists for an hour or more, or swelling and pain that lasts for more than six weeks, may be indicative of rheumatoid arthritis. Ah, I’m happy I added you to my feed reader, otherwise I’d have missed this. Thanks for this, and I wish the best 2010 to you. I started purchasing chondroitin and glucosamine and it stopped my arthritis pain. I read about a new product with tart cherry and glucosamine called Cherry Prime. I ordered about four weeks ago online and even got it with free shipping from Traverse Bay Farms.